Yikes, this is a big deal! 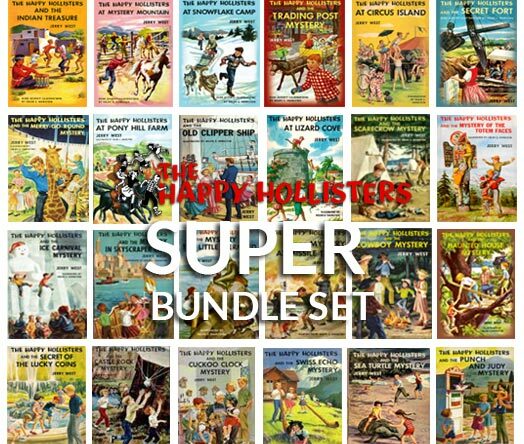 We’re thrilled to bring you this first-ever Happy Hollisters Super Bundle set of 29 paperback titles. 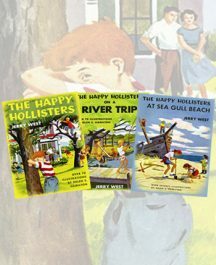 This includes all Happy Hollisters titles currently available in print, and would make a terrific gift for the young reader in your life. 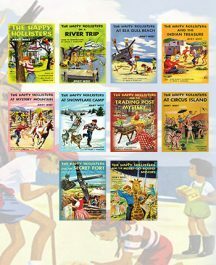 This deal is even sweeter because you’ll save 30% off the regular price; all 29 paperbacks will be shipped for the price of $242.58. (regularly priced at $346.55) and includes FREE shipping in the USA. Collect ‘em all now, and save 30%!